Career: Launched in 1923 as CANADIANA and completed as LONDON MERCHANT. She became well known when the 1947 book 'Whisky Galore' by Compton Mackenzie and the 1948 film of the same name were based on her grounding and sinking. 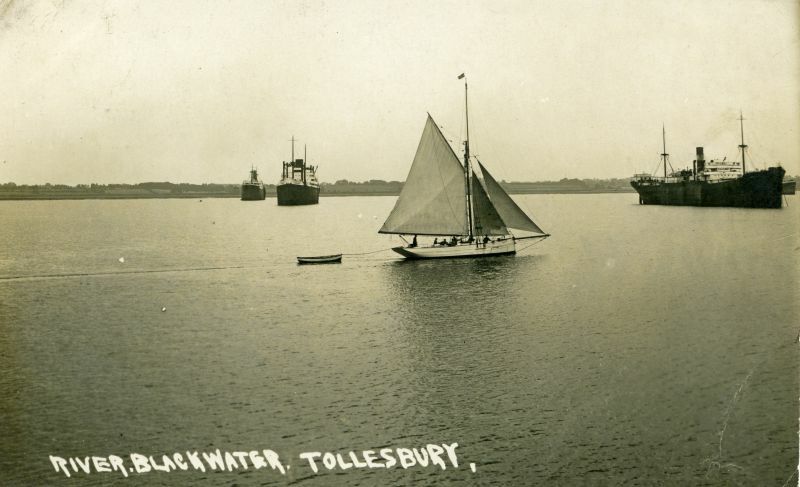 Arrival date April 1930 from document DF 106/1/10/12 T&MNOFC Record of Ships Moored on Fishery 1930-33 at Essex Record Office. -14 June 1935 Unmoor Owner/agent T. & J. Harrison. Voyage Record Card gives arrival off Tollesbury 12 Apr 1930 from London and departure 14 Jun 1935 for Livepool. 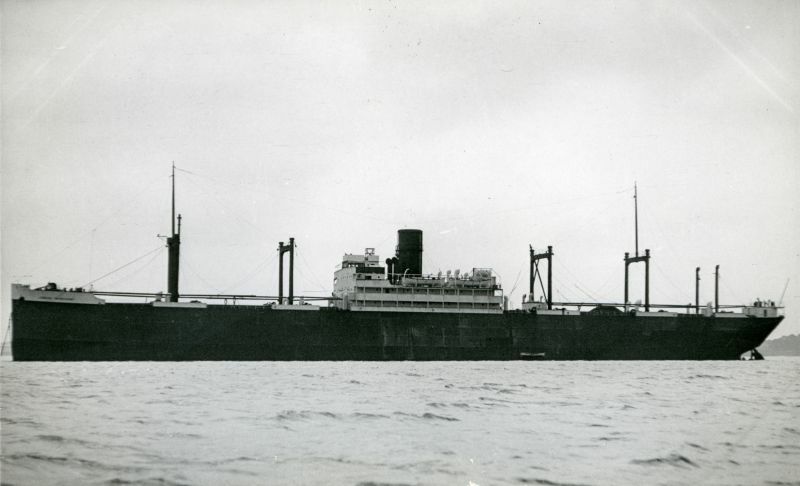 She had been sold as per Lloyds List 18 May 1935 and renamed POLITICIAN. Above: LONDON MERCHANT laid up in the River Blackwater. She was laid up 1930, west of Tollesbury Pier. Photograph from A. Duncan. Date: Before May 1935. Above: River Blackwater, Tollesbury. Postcard mailed 15 September 1931 Second ship from the left is LONDON MERCHANT. Date: Before September 1931.